The Nolan Catholic Women's Soccer Program is excited for the holidays but even more excited for the 15th Annual Nolan Soccer Alumni Day. Your National Ranked Lady Vikings just returned from San Francisco, CA for the Tri-Valley Classic Christmas Eve and return to take on their alumni hero’s this Saturday. Come on out and show us that you haven't missed a beat. Whether you are currently playing or haven't played since your LVS days we would love to see everyone. Be there...Saturday, December 29th at 11:00am at Doskocil Stadium. 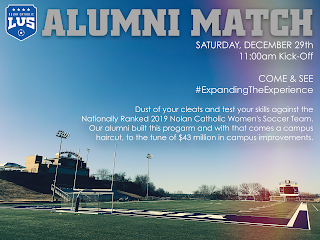 Along with your opportunity to show off your skills against LVS19, you can also learn more about our #ExpandingTheExperience $43 million campus improvement project that is currently underway. Also, FREE food and fun. The LVS Alumni Soccer Day is in its 15th year so come out and work off that Christmas turkey and stuffing before ringing in the New Year. Our Lady Vikings have been hard at work gaining local and national respect. With an overall record of 6-4-1, the Lady Vikings will kick off the year hosting the National Elite Prep Showcase against national powerhouse, St. Thomas Aquinas from Florida team. Formerly the Nolan Showcase, NEPS runs January 3rd-5th, 2019. The Lady Vikings Soccer program takes great pride in playing one of the most competitive schedules in the country; the mentality is fueled by the competitive spirit in the programs current and former players. No team in the country plays a more competitive and dynamic schedule. LVS currently has 4 California teams, 1 Florida team, and 1 Minnesota team on their schedule. We look forward to seeing all our former LVSers. We are going to broadcast the 15th Annual Alumni Match LIVE on the NFHS Network. 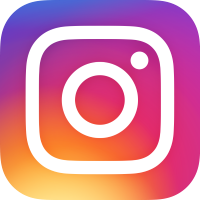 Link will appear @nolansoccer on Twitter and Instagram and on our website at www.ladyvikingsoccer.com Can't wait to see our #lvsFamily. The Lady Vikings improved to 2-1-0 in district play with back to back shutout wins over All Saints and Liberty Christian last week heading into Final Exams this week. The one two three punch of Mya Ulloa, Laci Earixson, and Alle Steining propelled the Lady Vikings to 8-0 and 1-0 wins last week. After a surprising district opening lose to TCA a couple weeks ago, the Lady Vikings got themselves back on track overwhelming their opponents last Tuesday and Wednesday nights. Earixson got the scoring started in the 14th and 15th minutes on the road with 2 well placed shots from just inside the box. The Lady Vikings did however have to manage a couple defensive counter-attacks and were up to the task to keep the Saints off the board. "Our backline bent for sure but some well timed individual efforts from our backs and goalkeeper kept the sheet clean," said LVS head coach, Jay Fitzgerald. Allee Kimmey scored directly off a corner kick and Sophie Bailey added another one in the 29th minute before Ulloa started what was the first of her hat trick just minutes before halftime in the 35th and 36th minute. She capped off her evening with a PK late in the game. Freshman, Avery Hutka scored late as well with her 8th goal of the year. The Lady Vikings returned home the following evening to host Liberty Christian and it took every bit of 80 minutes to earn the victory. A sustained attack saw the Lady Vikings in front of the Liberty goal all game. Fitzgerald added, "Liberty was well organized and we were having success with opportunities or, I should say, half chances in and around their goal but just couldn't capitalize." LVS goalkeeper, Alle Steining cleaned up the box well with 4 saves and one late to keep her team in the game. In the final minute of play, the Lady Vikings mounted another quality build-up that was finished off by Earixson as Geiser and Ulloa combined to get the ball to Earixson for the game-winner with 25 seconds to go in the game. "I am proud of our patience in these matches. We have a pretty good system and style and it is nice to see our group stick with it," mentioned Fitzgerald. Next up for the Lady Vikings is St. Francis Catholic in the Tri-Valley Classic in San Francisco. More information CLICK HERE. 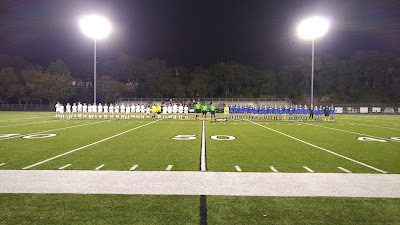 The Nolan Catholic Women's Soccer teams went 2-0 last week with 2 impressive wins over HSAA (JV) and Twin City Fire Academy out of Minnesota (Varsity). Both teams had to brave the rain and the cold in route to victories. The JV hosted HSAA for their home opener and rattled off a 2 goal lead at the half with goals by Emma Mueller and Elena Ramirez. "Our team made a statement at our first home game, playing with a vision toward a competitive season with a 3-0 shutout," mentioned JV head coach, Edward Hernandez. Lilly Martinez scored the second goal of the year to extend the lead to 3 in the 50th minute. Gigi Del Signore and a solid back line combined for the shutout improving their record to 1-1-1. With the Friday varsity match cancelled, the group was able to pick up a game against Twin City Fire Academy out of Minnesota over the weekend. The cold, wet weather wasn't an issue for the Fire but the Lady Vikings were, as Nolan Catholic played the most complete match of the season this far improving to 3-2-1 with a 4-0 shutout of their own. Underclassmen, Abby Geiser, Laci Earixson, Maggie Tepera, and Avery Hutka each scored in the match with freshman, GK, Alle Steining pitching the shutout. Head Coach, Jay Fitzgerald said, "First off, we were fortunate to get a game in with Fridays match getting cancelled but the way we handled the weather and the way we executed our game plan was impressive. We were solid in all functions of the game." With the JV off until the return from break to prepare for the GCISD Invitational, opening with UIL 6A powerhouse Byron Nelson, the varsity plays 2 district matches tonight and tomorrow before heading off the California to compete in the Tri-Valley Classic in San Francisco. Kick-off at All Saints is tonight at 5pm with Wednesday nights match vs Liberty Christian starting at 6:00pm. Just when the weather turns a bit cold and wet, the Nolan Catholic Women's Soccer teams are scheduled to play. Tonight the JV will take on HSAA at 4:30pm at Doskocil Stadium. The varsity match following will be rescheduled. The JV is coming off an away loss to TCA a week ago and looking to get back on track with a win tonight. Without a match schedule until the first of January, the JV may have a game schedule for next Tuesday or Wednesday to get in one last match before break. Start of the New Year, the JV jump right back into it with a match against 6A powerhouse, Byron Nelson in the GCISD Invitational, January 3-5 hosted by Grapevine High School. With the varsity match postponed tonight, they have picked up another match Saturday morning kicking off at 9:00am against Twin City Academy Fire from Minnesota. Twin City Academy was in for an event in South Texas that got cancelled and decided to come North to pick up some matches. "We have had several matches postponed this year due to weather, that we were fortunate to find a group that is feeling the frustration just like us. Training is great but kicking someone else other then your teammate sometimes is better, " mentioned LVS head coach, Jay Fitzgerald with a smile. 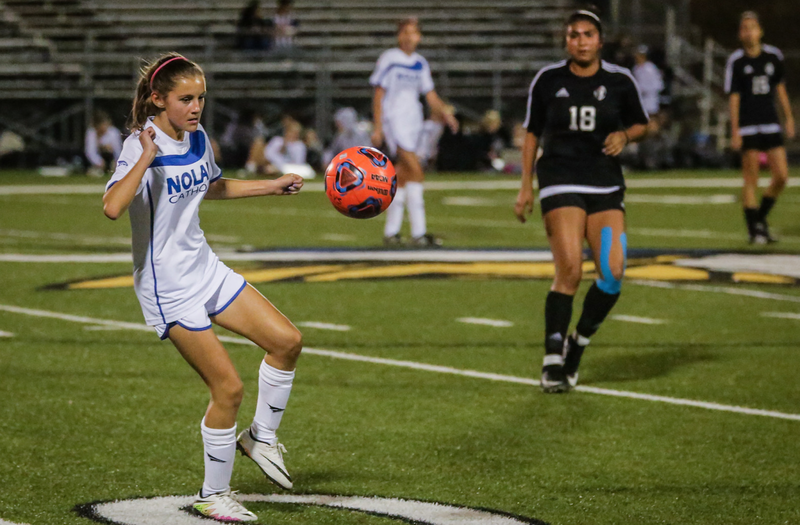 The Nolan Catholic Women's Soccer team stumbled on the road Thursday night in the opening match of district play. Down by 2 at the half, the Lady Vikings could only get within one on a bomb of a goal by sophomore, Paola Vazquez, the first of her high school career. Lady Vikings head coach Jay Fitzgerald commented after the game, "We gifted a couple goals but even then, I thought we would make it up. I have to do a better job with stressing the importance of preparation and habits but I am happy with how we get better as the game goes on." To be objective the Lady Vikings were able to get into scoring situations 27 times in and around the TCA box. "The number of options that we had when in possession was the best I have ever seen but credit TCA, they were able to make the plays at the right time. Our midfield was fun to watch tonight on both sides of the ball," said Fitzgerald. The game was very open and with LVS averaging over 3 goals a game, the 2 goal deficit seem attainable. Vazquez picked out the corner just 9 minutes into the second half and the Lady Vikings continued to pour on the pressure. Laci Earixson, Mya Ulloa, Sophie Bailey, and Bella Tankersley were able to sustain an impressive workrate but getting extra numbers forward will be a topic of discussion as the Lady Vikings reflect on the match. The Lady Vikings return home next Friday and then continue district play the week after that before they head to the Tri-Valley Showcase in San Francisco, CA Dec. 20-23. The Lady Vikings come out of Thanksgiving Break with a JV/Varsity double header on the road tonight and Thursday. Many players spent their break at college showcase tournaments at the prestigious Surf Cup and the Silver Lakes Fall Showcase in California and the Disney Showcase in Florida. The groups are ready to get back to work taking on Hockaday in Dallas tonight with both teams kicking off at 5:30pm. The varsity is currently 2-1 gaining local, regional, and national respect sitting at #39 in the National polls. The JV plays their first regular season match tonight. Abby Geiser, Laci Earixson, and Avery Hutka lead the way for the Lady Vikings with double digits in points in the first 3 matches. TCA will host Nolan Catholic on Thursday at 5:00pm and 7:00pm which is the district opener for both teams. The JV will kick off the night at 5:00pm. The Lady Vikings improve to 2-1-0 on the season with back to back wins over Bishop Dunne and Plano Prestonwood. After dropping a heartbreaking loss to national rival, Ursuline, 4-2 the Lady Vikings got back on track with a couple dominating performances this week. Underclassmen highlight the score sheet contributing for 18 of the 23 goals the Lady Vikings have scored during the first 3 games of the season. Freshman, Avery Hutka leads the way with 6 goals while 2018 LVS Offensive players of the year, Abby Geiser has 5. Both players have scored in all 3 games. "We are definitely moving in the right direction, our young players are fitting in nicely anchored well by some upperclassmen. I am most impressed by our ability to get better when and if we make changes in matches," said LVS head coach, Jay Fitzgerald. The response on and off the field has been positive after the opening match loss to Ursuline. The training environment is realistic and competitive. A full week went by after the first game only to see another game get postponed due to weather. The Nolan Catholic women's team had several training opportunities to reflect and prepare before meeting up with Dunne and Prestonwood in back to back matches. Of the 22 varsity players on the roster, 11 of those are underclassmen and 7 of those 11 have started this season. The Lady Vikings have a core of younger and older players that mix well based on their qualities on and off the field. Most of the Lady Vikings will take the Thanksgiving Break to travel to college showcase events in Tulsa, California, and Florida and won't miss a beat when they return after break to take on Hockaday and kick-off district play the final week of November. After a full week of no games, the Lady Vikings are making up for it with 3 games this week. The JV and Varsity play a double header tonight at home against John Paul kicking off at 6:00pm and 7:45pm. Wednesday the varsity returns home hosting Bishop Dunne at 6:00pm before they take to the road on Thursday meet up with Prestonwood at 7:00pm. With a couple scrimmages under their belt the Lady Vikings look for the season to get going. The varsity dropped their first match of the season to Ursuline 4-2 a couple weeks ago. Abby Geiser scored the first goal of the year for the Lady Vikings, while freshman Avery Hutka scored her first career high school goal. Head coach, Jay Fitzgerald is excited about the match tonight, "We haven't played in a week and as much as it is not ideal to play in the cold, our team needs opportunities to be uncomfortable." Come join us at Nolan Catholic High School this Sunday afternoon from 12pm-3pm for our OPEN HOUSE. Come and See why Nolan Catholic will give you the best high school experience in the classroom and on the field. Tour our campus, learn more about our facility updates, meet our teachers, and hang out with our student-athletes and get first hand accounts of WHY Nolan Catholic. Specifically come check out what it is like to be a Nolan Women's Soccer player, learn about our players development model, check out our locker room, amazing stadium, talk to our coaches and players, and find out when our next match/event will take place. 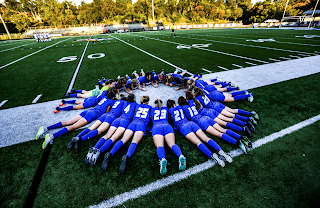 The Nolan Catholic Women's Soccer Program is one of the most dynamic high school programs in the country with over 800 wins, 28 Regional Championships and Final Four Appearances, 16 State Runner Up finishes, and 4 State Championships. 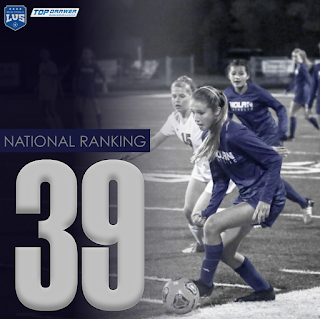 The Lady Vikings Soccer Program has been National Ranked each year since 1999, ranked as high as #8. For more information contact LVS Head Coach, Jay Fitzgerald at 817-917-1491 or email jay@jatoathletics.com. The Lady Vikings opend the season a bit slower then expected on Thursday night. The defending state champion, Ursuline Bears, handed the Lady Vikings a 4-2 loss at Doskocil Stadium. A double header, starting with Viking JV Football turned to the feature match of the evening with the nations top women's soccer rivalry in high school soccer. Nolan and Ursuline have met 16 times in the state championship with Ursuline winning all 16 of them for a total of 26 with Nolan at 4. "What a better way to start the season then with Ursuline. 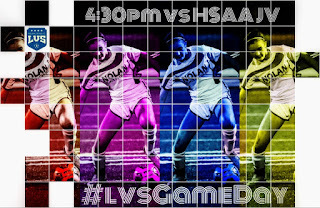 We have so much respect for them...our rivalry and all the players and coaches that have been apart of this rivalry since 1990," mentioned LVS head coach, Jay Fitzgerald. With just 14 minutes gone in the first half, the Lady Bears held a 3-0 lead. Shaky to say the least, the Lady Vikings started 3 freshman including 3 other players that got to experience this incredible rivalry for the first time tonight. The Bears were able to extend the lead just into the second half with a bomb from distance from midfielder, Kylie Dobbs. The Lady Vikings would not go away and continued to press on and with just about 10 to play they were able to get on the board with a very nice build up goal by Abby Geiser and just before the final horn sounded, the cut the Ursuline lead in half on a goal from freshman, Avery Hutka. That goal marked the first career high school goal for Hutka. Geiser lead the way for the Lady Vikings with 4 shots, next in line were newcomers, Mya Ulloa and Laci Earixson both with 2 shots. Freshman goalkeeper, Alle Steining had 18 saves. The Lady Vikings return home on Monday against Bishop Dunne. Ursuline scored 2 world class goals tonight but so did we. I have been a part of a lot of amazing teams here at Nolan Catholic but last year and this years team have some really grit and fight to them and they just won't give up. Tonight I saw something different from our group. We have something here for sure. The rivalry is the same as well as the stakes but when Nolan Catholic meets Ursuline on Thursday night for the teams regular season home opener, the game doesn't count toward their district record. TAPPS realigned the districts this year which saw Nolan opposite, rival Ursuline for the first time in the 2 teams history. Ursuline is in TAPPS 2-6A with Prestonwood, Lynch, Dunne, and John Paul II while Nolan Catholic remains in TAPPS 1-6A but with TCA, Liberty Christian, and All Saints. "Can't say I like the new districts but that doesn't change how competitive our schedule is," says LVS head coach, Jay Fitzgerald. The Lady Vikings continue to play the 2-6A teams along with the nations #1 team, St. Thomas Aquinas from Florida and 4 other out of state teams from California in the National Elite Prep Showcase (hosted by Nolan Catholic and Southlake Carroll) and the Tri-Valley Classic in San Francisco, CA. Keller, Lubbock Coronado, Rouse, and Cedar Ridge are highlighted teams that Nolan Catholic will match up with this season. CLICK HERE for full schedule. 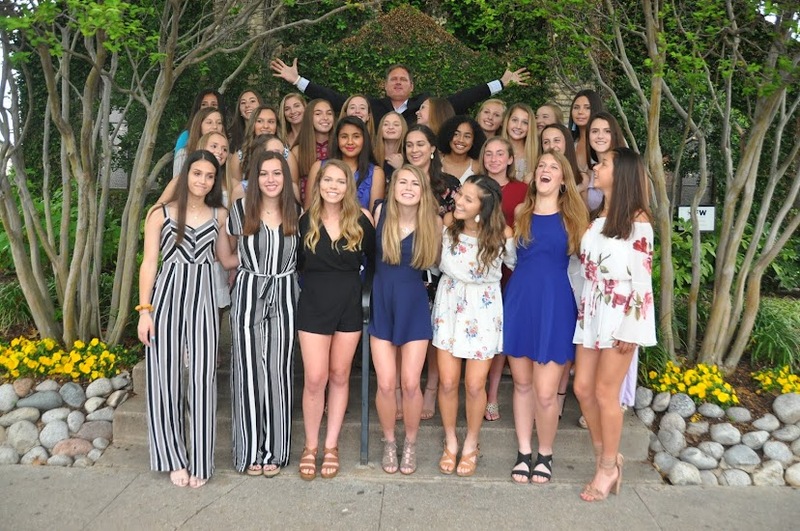 Each and every year, Fitzgerald takes pride in playing one of the nations most competitive schedules, "We want our young women to experience the most competitive and challenging environment here at Nolan Catholic. There is no high school team in any other sport around the entire country that plays the amount of out of town teams that we do, year in and year out. Growth and development are the priorities." This Thursday night the Lady Vikings will take on Ursuline in a football double header following the Vikings JV football team vs All Saints. Nolan Catholic High School Women’s Soccer is excited to offer a development clinic for future female soccer athletes this Friday, October 19th from 6:00pm-7:30pm. Women’s Head Coach, Jay Fitzgerald and current athletes will take these future Lady Vikings through pre-game warm-up, walk-out and player introductions along with a typical training session. Come out and experience what it is like to be a part of one of the most dynamic programs in the country. The Nolan Catholic Women's Soccer Program has over 600 wins since 1983, 4 State Championships, 33 Final Four Appearances & Regional Championships and 15 State Runner-Ups and consistently gains local, regional, and national respect. The LVS Experience is like no other. The expectations of the student-athletes at Nolan Catholic are extremely high, not because the standards are high, but because the individuals have a true competitive spirit. History, tradition, success, consistency on and off the field along with selfless community service has put the Nolan Catholic Women's Soccer Team on the national map. Strength of schedule is second to none, hosting the nations #1 showcase, the National Elite Prep Showcase in its 17th year. With their annual trip to California to play the best of the west, the Lady Vikings are always up for a challenge. A healthy mix of their own district private school teams and the top UIL powerhouse public schools are always on tap each season. We help identify player key qualities through an individual development plan for each player to help steer our LVSers down the appropriate development pathway. We are about progress and growth. We want to get better every day and in the end our players become better people on and off the field. We take great pride in our program and the overall experience it provides for young ladies. CLICK HERE to see our video board introduction video for this past season. CLICK HERE for an example of the LVS Experience. For more information Follow Us on Twitter and Instagram @nolansoccer and also on Snapchat @nolanLVS or contact Jay Fitzgerald at 817-917-1491 or email jay@jatoathletics.com. Any player that is interested in playing soccer for the women’s soccer team this season must be at try-outs October 8-16. All players are required to ride to and from on the bus, which will leave from outside the arena at the specified time, listed below. The Varsity and JV teams will be announced on Thursday, October 18th. List will be posted outside and inside Locker Room and outside the Women’s Coaches office across from the Arena Dance studio. All training will be at Gateway Park Turf Complex. Please wear a navy training top, white soccer shorts, and cleats. Bring running shoes to every session. Please Contact Head Coach, Jay Fitzgerald with any questions at 817-917-1491 or jay@jatoathletics.com. The 2019 Nolan Catholic Women's Soccer program is in full swing as pre-season rolls on. With just over 60 days before the first match, the Lady Vikings prepare each and every day like the opener is tomorrow. "We take great pride in our program and the overall experience it provides for young ladies. This is a program with high expectations making growth and progress a priority. Problem solving is a priority stressing the education of life through soccer," said head coach, Jay Fitzgerald. The program has over 700 wins since 1983, 4 State Championships, 33 Final Four Appearances & Regional Championships and 15 State Runner-Ups and consistently gains local, regional, and national respect. The LVS Experience is like no other. The expectations of the student-athletes at Nolan Catholic are extremely high, not because the standards are high, but because the individuals have a true competitive spirit. Fitzgerald mentioned, "We help identify player key qualities through an individual development plan for each player to help steer our LVSers down the appropriate development pathway. We are about progress and growth. We want to get better every day and in the end our players become better people on and off the field." LVSers will come together this Friday Night and show off a summer's worth of hard work competing against their peers on other teams. "Competitive spirit runs high around Nolan Catholic and we look forward to being together with our athletic community to celebrate another amazing summer, " LVS head coach, Jay Fitzgerald mentioned. All female athletes that have been involved in the summer conditioning program throughout the entire summer will be participating in the evenings events. The athletes will perform the 4 events mentioned below and will be timed in each event*. Athletes with the best times in each event will be crowned event champion as well as an overall champion that has the lowest aggregate time throughout all 4 events. Athletes do not have participate in all 4 events but that will forfeit them from the chance to win the "overall" champion. LVSers competing in the Night of Champions are based on attending the majority of the LVS19 Summer Program. Congrats to the following LVSers who will be participating in the Night of Champions: Sophie Bailey, Sophie Bermudez, Lauren Bettinger, Skye Bourg, Maddie Caffey, Victoria Clark, Olivia Delvac, Laci Earixson, Rachel Firestone, Abby Geiser, Katherine Gilpin, Madison Ginani, Grace Gnatovic, Avery Hutka, Allee Kimmey, Lily Martinez, Emma Mueller, Avery Pick, Alyssa Spotts, Allee Steining, Isabella Tankersley, Olivia Tankersley, Maggie Tepera, Grace Wempe, and Abbey Yost. The 2018 Night of Champions begins at 7pm and following the events, there will be an awards ceremony and food. Please come join us for a night of fellowship, fun, and food. Our annual LVS Team Camp plays an important role in the upcoming season. The purpose of the team camp is to bring current and incoming players together to develop chemistry and cohesion for the upcoming year. We also use the camp to define the program goals and expectations along with traditions. WHO: Current JV & Varsity players are EXPECTED, as well as all incoming freshman. * Please bring check payable to Nolan Catholic on first day of camp. * There is no cost for returning players. * Wear summer LVS tank tops along with white shorts. * Bring Ball, Bring Water, Bring Cleats, Bring Running Shoes in case in gym. * We start on time each session so please BE EARLY. CLICK HERE for Registration/Waiver Form *All players must bring this to camp. WHY THE LVS19 TEAM CAMP? Why THE Academy Presented by Nolan Soccer? * See what it is like to play at one of the most dynamic high school soccer programs in the country…. 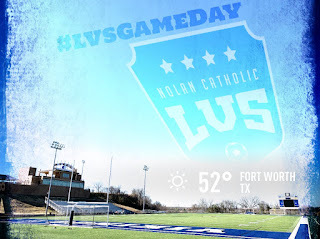 Opening Day please arrive at Doskocil Stadium at Nolan Catholic High School to check-in between 7:15am-7:50am as we start camp promptly at 8:00am. *All players MUST be picked up from Doskocil Stadium. No player can be picked up from the parking lot. See what it is like to be a part of one of the most dynamic high school soccer programs in the country. Your experience will not only be unique but incredibly dynamic and exciting. The new innovative professional curriculum will be challenging and cutting edge where learning and teaching take center stage. The goal of the Program is to develop individual techniques of players as well as a love for the game of soccer. 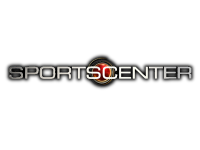 Topics are tailored to the developmental age and skill of the players and are geared toward the success of the player. It is a fantastic way for young players to get acquainted with the skills of soccer while having a great time. We will focus not only on technique and an overall understanding but giving you the confidence necessary to be future superstar in the sport. We anticipate that you will walk away with the most fun and rewarding soccer experience that you have ever been a part of. See example of schedule below. **All players will be picked up at the STADIUM at the completion of each day. Sessions will be filmed and interviews will be coordinated with select Academy participants. Academy still photographs will also be taken and be available on Twitter at @jatoathletics and @nolansoccer. 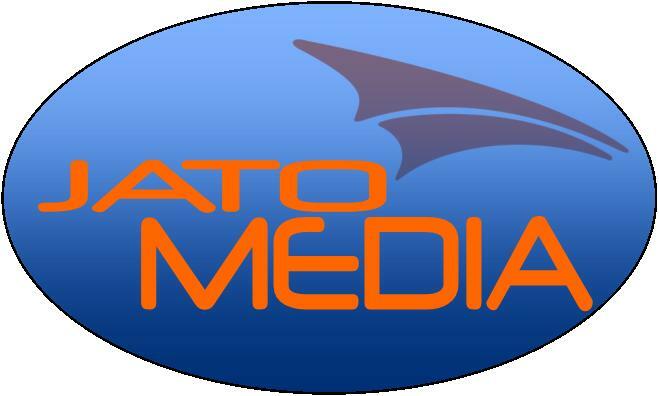 JATO/Nolan Catholic retains the right to use for promotional purposes any pictures/videos taken. Water will be available at all times throughout the day. Water Stations will be located at the stadium and gym. It is very important that THE Academy week participants properly hydrate themselves on a regular basis during their Academy experience. It is important the week prior to THE Academy to start acclimating yourself to the heat/humidity by drinking plenty of water. During your time at THE Academy you need to drink 16/32 oz. before, during, and after each training session. Your body will lose fluid at an increased rate and you need to replace those fluids more often. No caffeine and no carbonation! THE Academy presented by Nolan Soccer is a soccer experience that is second to none. Our staff comes from all over the area consisting of area club and high school players and coaches along with some US Soccer staff and is carefully selected to teach and paint perfect pictures for these up and coming young footballers. Players are expected to behave in a manner befitting a serious soccer athlete. Every player is expected to act in a way that shows respect for themselves, the campus of Nolan Catholic High School and its facilities, THE Academy staff and other players. THE Academy is designed to allow everyone to grow in the game on and off the field while achieving their individual goals. Our staff will work hard to provide the absolute best experience to each and every participant. And we expect each and every player to give everything they have while training, to play for the enjoyment and love for the game of soccer, and to respect the game and all those around them. A certified Athletic Trainer will be available at ALL times throughout the day at the fields and in the gym. The Academy participants will be supervised all day with our full time staff. Parents may come to the training sessions to observe the training but cannot be on the field. Join us on Saturday Night, April 28th at 6:45pm for the Blue Carpet Athlete Arrival of the second annual VSPY Awards presented by the Nolan Catholic Athletic Department. Athletes, teams, and coaches will walk the blue carpet, take pictures, and get interviewed in anticipation of the start of the show at 7:30pm in the Hartnett Arena. CLICK HERE for 2018 VSPYS PROMO. The VSPYS are Nolan Catholic’s version of the ESPYS presented by ESPN where student-athletes & supporters are recognized for their superior performance both on the field, in the classroom, and in the community. For more than 50 years, Nolan Catholic has honored outstanding achievements by athletes, teams, coaches, administrators, and supporters. Our sports legacy runs deep. The most anticipated night in athletics see today’s standouts grab a piece of our school’s rich sports history and share it with yesterday’s stars. The Viking Sports Performances of the Year Awards. 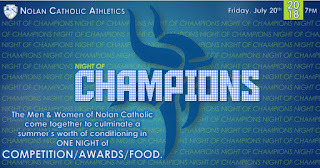 The event is a Blue Carpet, FORMAL dress, stage production honoring the greats of Nolan Catholic athletics. Hosted in the Harnett Arena at Nolan Catholic High School, this will be one of the best nights of the year for athletes, fans, partners, and community supporters. It is time to celebrate & honor our rich, winning tradition. ALL teams (freshman thru varsity), managers, fans, and parents are expected to attend this second annual event. You will NOT be disappointed. Athletes and Coaches arrive to walk the Blue Carpet where they will be interviewed and photographed kicking off this spectacular evening. It is the only night when athletes put away their uniforms and dazzle us with their dresses and tailored suits. This unique, end of the year celebration has it all. 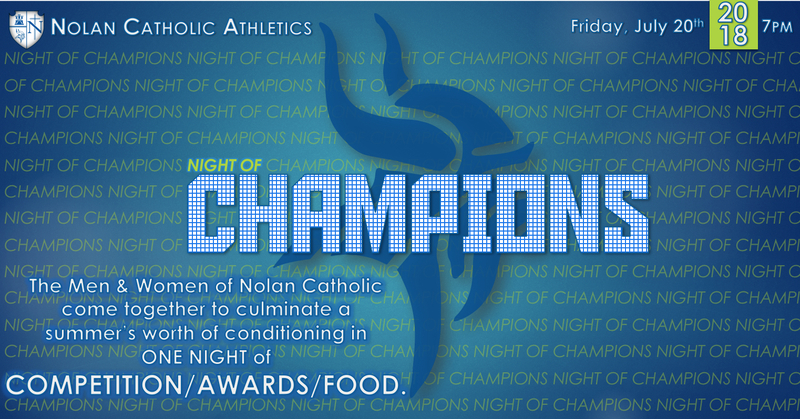 Be there as the Nolan Catholic community recaps the year's most memorable moments in sports with our amazing community who made them happen. Naturally, the biggest plays, most unexpected upsets and record-breakin performances are celebrated. 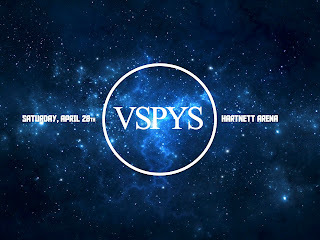 The VSPYS don't just celebrate sports achievements it honors the competitive spirit as well as instances of strength and determination they go beyond sports, the fans that make the place shake, the volunteers that work behind the scenes, and let's not forget the moments in the community that represent us all with the utmost character and pride. Don’t miss this unforgettable show. RSVP NOW through your team representative. *Nominated athletes, teams, and coaches will receive invitations.